Nslookup (name server lookup) is a command-line utility that is used to diagnose and verify DNS servers and records, and detect problems with resolving names in the DNS subsystem. The nslookup utility was originally developed as part of the BIND package and ported to Windows by Microsoft. 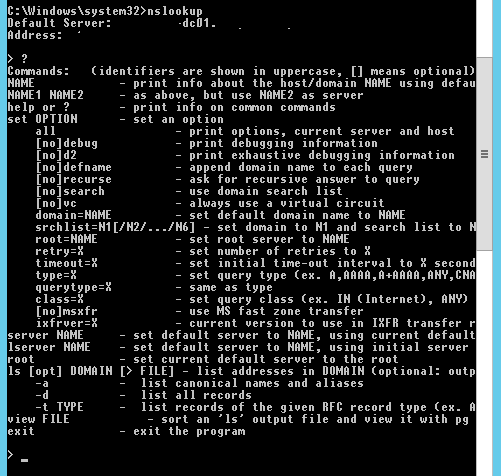 At this moment Nslookup is a built-in tool in all supported versions of Windows OS. How to Use Nslookup to Check DNS Records? Using the nslookup utility, you can determine the IP address of any server by its DNS name, perform the reverse conversion (reverse DNS lookup), get information about the various DNS records of the specific domain name. 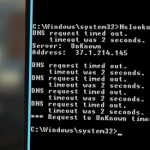 When running, Nslookup sends queries to the DNS server that is specified in the settings of your network connection. This address is considered as a default (preferred) DNS server. The user can specify the address of any other available DNS server. As a result, all the following DNS queries will be sent on it. You can use the nslookup utility in interactive or non-interactive mode. In this example, we requested the IP address of theitbros.com domain. 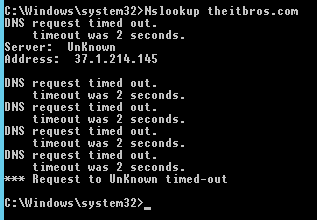 The nslookup utility queries the DNS server (it is specified in the Server line) and it returned that this name corresponds to the IP address 37.1.214.145. Such a response indicates that your DNS server is available, works properly and processes requests for resolving DNS names. This means that no entries in the DNS zone have been found for this name. If your DNS server is unavailable or not responding, you will receive a DNS request timed out error. In this case, check if you have specified the correct DNS server address and whether there is a problem with the network connection from the IS provider. The Non-authoritative answer means that the DNS server that executed the request is not the owner of the theitbros.com zone (there are no records about this domain in its database), and to perform name resolution a recursive query to another DNS server was used. When you run nslookup without parameters, the utility switches to the interactive mode. In this mode, you can execute various commands. 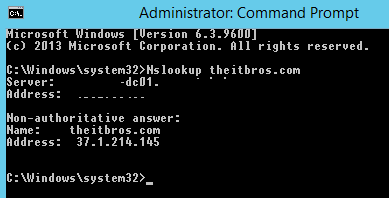 A complete list of available internal commands of the nslookup utility can be displayed by typing a question. Tip. Note that the commands of the nslookup utility are case sensitive. To close nslookup interactive session, type exit and press Enter. You can perform the reverse queries (get DNS name by IP address), just type the IP address in the nslookup interactive prompt and press Enter. As you can see, this domain has 2 MX records with priorities 10 and 20 (the lower the number, the higher the priority of the address). If the MX record is not displayed, it’s likely that they are simply not configured for this domain.